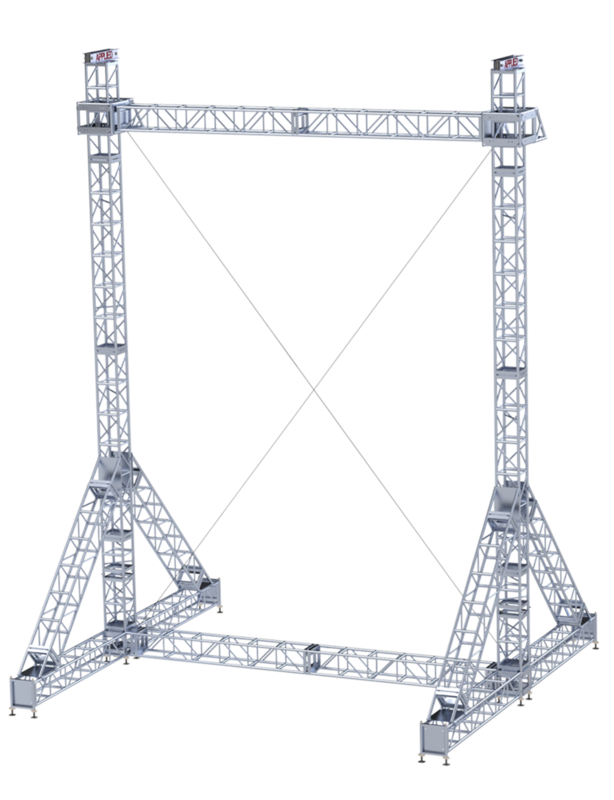 The Applied AGP 3 goal post video support system is constructed with 16” x 16” tower and heavy duty box truss. The design of this system eliminates the need for ballast and guy wires when built in the standard 20-foot width. Larger systems may require ballast and guy wires depending on location, screen weight and screen size. Each structure comes complete with a third-party engineering report with load limits, an operations management plan and guy wire and ballast requirements.